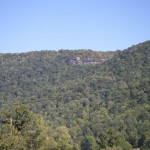 In 2008, Copperhead completed a radiotelemetry study to characterize the fall roosting habitat of the endangered Indiana bat (Myotis sodalis) near Royal Blue and Sundquist Wildlife Management Areas of northern Tennessee. 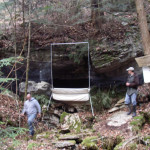 Designed to collect baseline biological data for the Cumberlands Habitat Conservation Plan, this project involved the capture of Indiana bats at a nearby hibernacula. During this time, radio-transmitters were attached to 10 of 28 male Indiana bats captured. Subsequent radiotelemetry efforts resulted in the location and characterization of six Indiana bat roost trees. Copperhead returned in 2009 in an effort to track Indiana bats during spring emergence and migration. Spring is a dynamic time for bats and their movements are notoriously difficult to document during this period. Trapping efforts (n = 11 trap nights) conducted at known Indiana bat hibernacula located within the project footprint resulted in the capture of 509 bats of six species, including 34 Indiana bats, 3 gray bats (M. grisescens), and 1 small-footed bat (M. leibii). Of these, a total of three female Indiana bats was fitted with radiotransmitters and released. Logistical constraints limited the amount of data collected from focal bats. 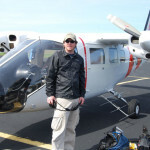 However, telemetry searches (from the air and ground) documented the migratory movements of transmittered bats and resulted in the location of three roost areas and one roost tree. In 2010, Copperhead collected twelve Indiana bats from two hibernacula. 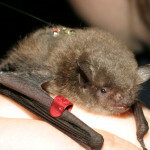 Each bat was radio-tagged and released with the goal of tracking them to new maternity sites. 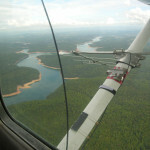 Project design modifications for 2010 included more use of more centrally located hibernacula and the inclusion of an additional aircraft. One radio-tagged bat migrated southwest into Alabama, ultimately traveling a total straight line distance of 263 km (163 mi) over three nights before being lost near Birmingham, Alabama. Another focal bat was tracked to a new maternity colony in Kentucky, located approximately 231.0 km (143.5 mi) north of the release point in Tennessee. In total, tracking data were collected on 9 of the 15 radio-tagged bats in 2010, leading Copperhead biologists to four new roost trees. In addition, we also determined the location of staging areas, migration routes, and the flight duration and speed of migrating Indiana bats.